3 Bedroom, 2.5 bathroom Townhouse. FIRST FLOOR: 18 in tile floor throughout, large living room with upgraded ceiling fan, laundry room with wire shelves, half bath and kitchen with spacious dining area. Kitchen features: granite countertops, breakfast bar with room for seating, tall upper 42 in cabinets with molding, deep walk in pantry with under the stair storage, upgraded appliances, recessed lighting, chandelier in dinning area, and tall French doors that leads one out to the private, brick paved courtyard. The courtyard leads to a full size 2 garage, that has a large enough parking pad to parallel park one vehicle. SECOND FLOOR: 3 bedrooms and 2 bathrooms. The Roomy Master Bedroom has lots of natural light and walk in closet. The Master Bath has a double vanity, frameless glass shower, gentlemans height cabinets with drawers, cultural marble countertops and private commode. Other home features: ceiling fans in all 3 bedrooms, bathtub in bathroom 2, Simpli Safe security system, Ring Doorbell system, and patio furniture included with sale. The COMMUNITY features: large community pool with lap lanes, fenced playground, and bike/walking paths. 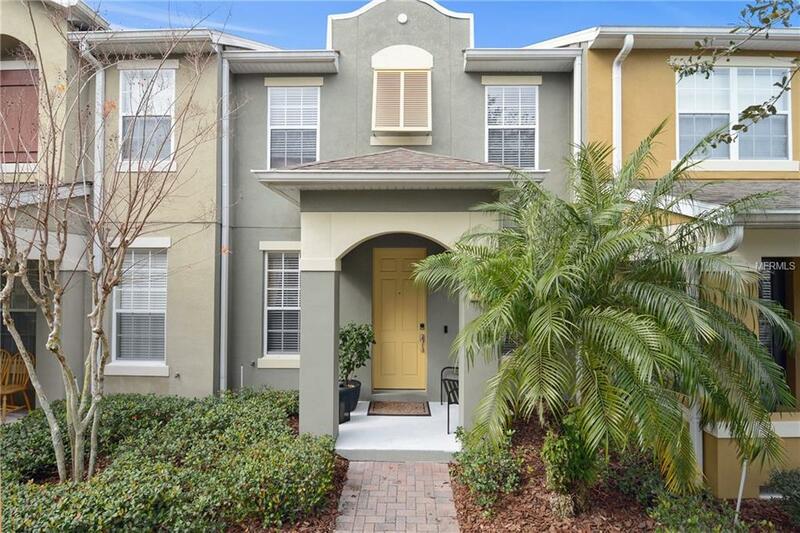 The community is conveniently located to shopping, restaurants, area attractions, access roads and Windermere Schools. Listing provided courtesy of Go Florida Commercial Llc.